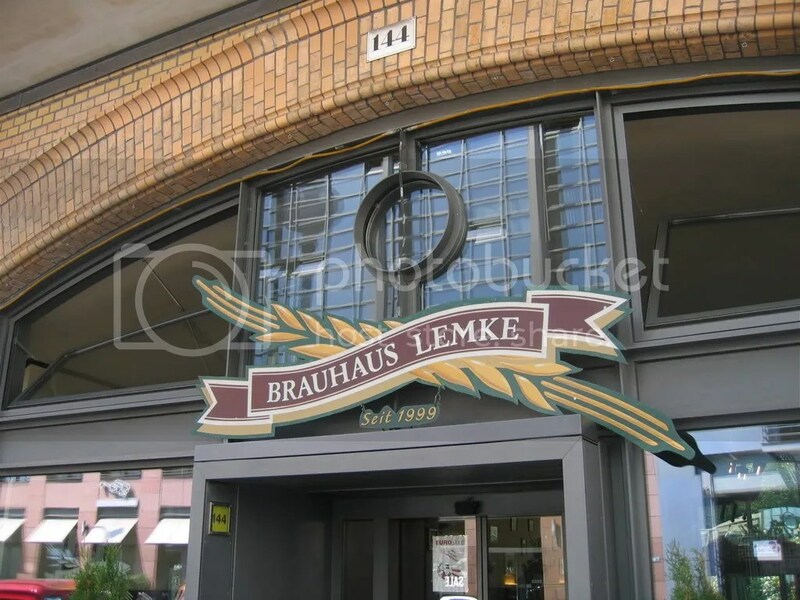 The Brauhaus Lemke is not the only micro in Berlin situated in railway arches, Brewbaker, next to Bellevue S-bahn station has done the same. Just a few stops from the centre as well, in a quiet area with apartment buildings and parkland. Very quiet if you ignore the rattling of the train. Some tables outside, inside they have just one arch – Lemke has two. Three beers of their own plus a guest, currently Weienstephaner weisse, which would be a welcome guest most places. Food menu, too, both snacks and more substantial meals. I think you are frowned upon here if you do not offer some kind of food to go with the drinks. The beer were interesting, each in their own way. A grapefruit weisse was very refreshing, the bitterness of the grapefruit playing with the light wheat beer. Smooth and easy drinking, a fine summer refreshment – and something very different form the grapefruit lemonade/beer mix being sold in bottles. The Berlinsch is a homage to the Kölsch of Cologne. This beer has a lot of flavour. A bit sweet, but with hops giving both flowers and bitterness. A fine session beer. Their Bellevue pils was, however, the best of the bunch. Well balances, soft mouth feel, crisp dry aftertaste. I ordered a large glass of this after finishing my sampler. This was probably the best beer I had in Berlin. A few minutes walk from Lemke there is another brewpub, which I believe is under the same management. This is even closer to the Alexanderplatz, located on the first floor of a shopping centre. I sat outside on the terrace, in the pub itself you have a sort of mock Bavarian bierstube concept, while it is open to the galley of the shopping centre showing another kind of reality. Oh well. In my old home town Trondheim there is a revolving tower with a restaurant, giving a splendid view of the city centre, the fjord and its surroundings. They were unable to make the restaurant viable until they did what they had done with most places in town. It was decorated with planks from an old barn, including an assortment of other farming memorablia. So you can choose between looking into the stable wall or admiring the view. But I digress. This is Berlin. 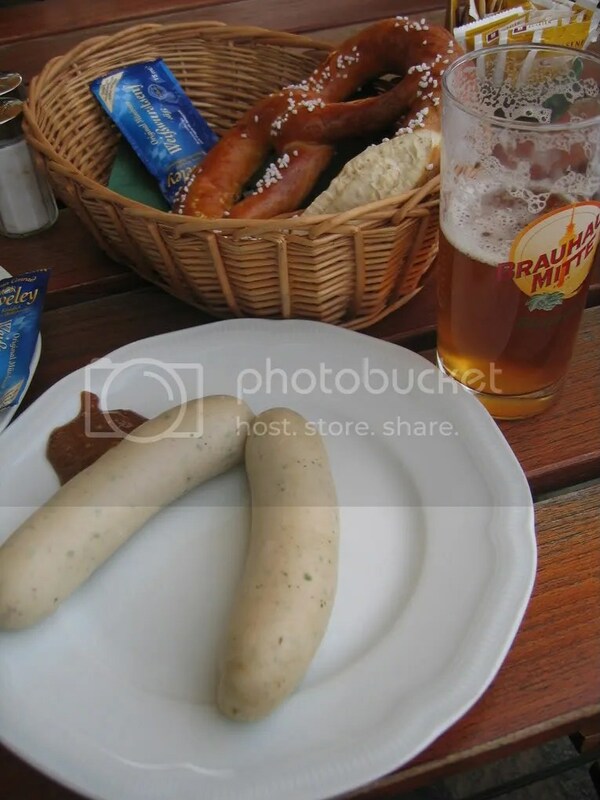 I need some food before indulging in more beer, and I order some weisswurst. It comes with sweet mustard – from a company that used to have a royal warrant with the court of Bavaria, no less – and a warm bretzel. The beers are not up to the samme standards as at Lemke. A dunkel is sweetish, with a hint of prunes. It does not really get anywhere, and it can’t cope with the salty bretzel. The pils is also rather bland. A bit better is the zwickl, a hazy gold and aromatic beer. Flowery hoppiness. Their weisse has some citrus freshness, but this is overpowered by a cloying banana flavour. Don’t get me wrong, these beers are not infected or actually bad. They just don’t have the little extra to make you go out of your way. Luckily you don’t need to go out of your way, it is right there in the middle of Berlin. And the sausages were splendid! 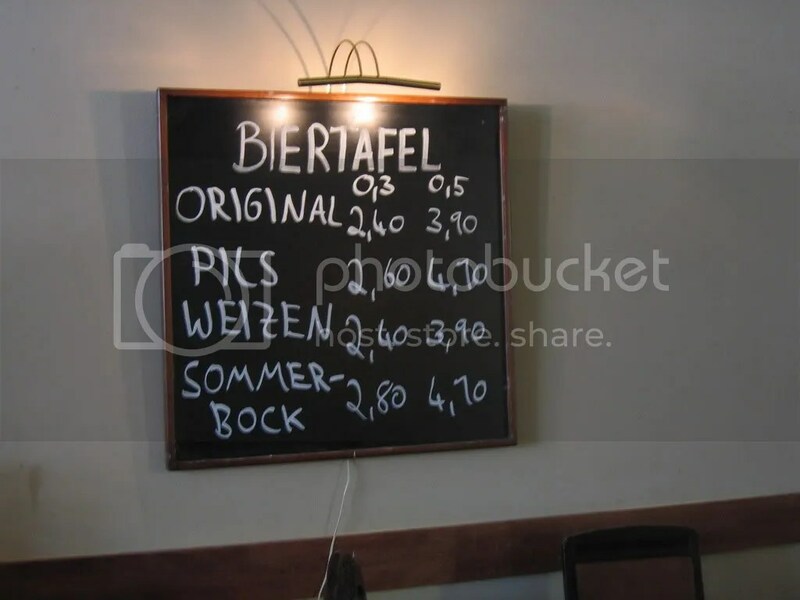 A few hundred metres from the busy Alexanderplatz in central Berlin there is a brewpub well suited to have a break and a refreshment. 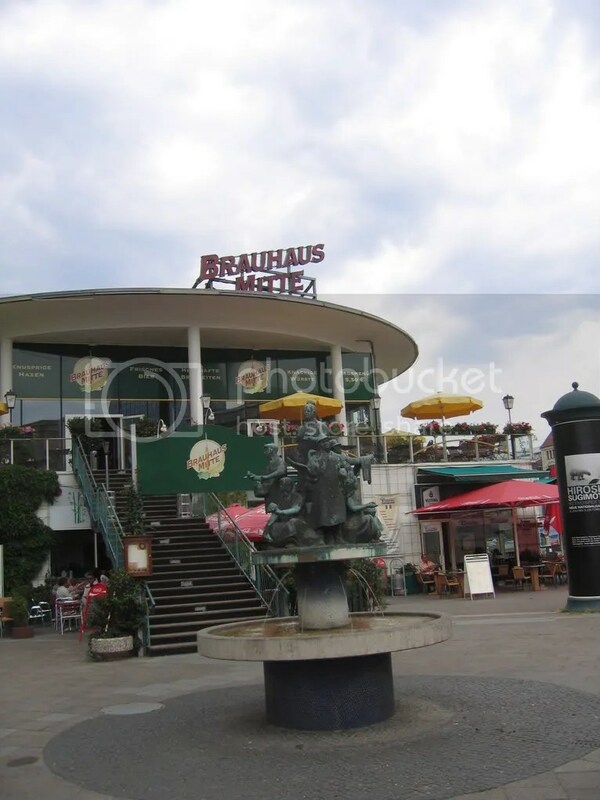 Brauhaus Lemke is actually situated in the railway arches between two stations, the closest being Hackescher Markt. They use two of the arches, making a large and airy restaurant, and there is a beer garden in the back, too. Some noise as the trains are rattling above, but not too bad. Nice that there are other uses for such premium space than junkyards. There is a lunchtime buffet and an extensive evening menu, but I did not have the time to linger for that. They had four beers on when I was there, lovely presented in sampler glasses with some malt to chew on. Nothing very daring here, a Dunkel, a Pils, a Hefeweissen and a rotating special, which was a honey beer. The Dunkel had a lovely mahogany color and a full malty taste. Sweet and sour, generous use of both hops and malt. The pils had a lovely hoppy aroma, a round body and a pronounced bitterness in the finish. The weissen was true to type – nothing outstanding. The honey beer was quite similar to the dunkel, but it has a fine honey taste that was well balanced in relation to the other ingredients. Quite similar to the best honey beers I tried in Latvia earlier this year. Note that they have a sister pub in Charlottenburg as well. If you are pressed for time, this is right next to a stop on the bus from Kurfürstendamm and Zoo towards Tegel airport, so theoretically you can squeeze in a 30 minute stop and try their samples. 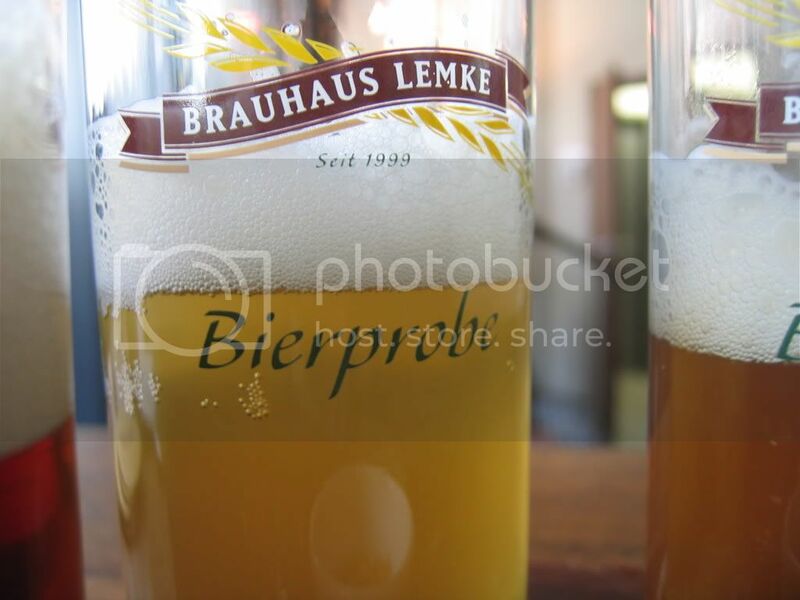 So there is no excuse for not trying the beers from Lemke! The arrival hall of any airport is not the place where you’d choose to spend time. You’d be there waiting to pick up friends or relatives, hanging around waiting for delayed luggage, that sort of thing. There is one airport where your waiting time can be turned into quality time – Kastrup in Copenhagen. Nørrebro Bryghus has opened a bar with four of their beers on tap plus another five in bottles. The draft beers can be had in small glasses, allowing you a few samples at relatively low cost, while the bottles are a bit pricey. 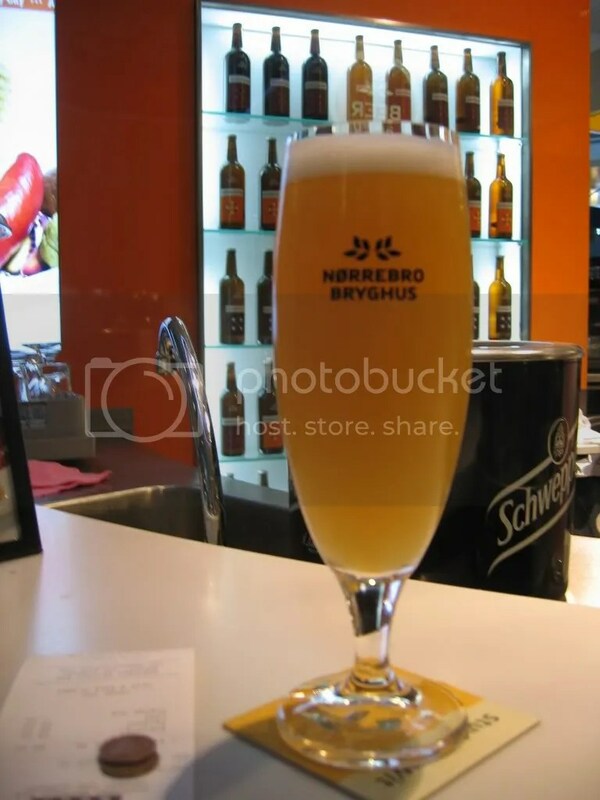 Adjusting to the market, the draft beers are not from the extreme end of the Nørrebro range. Coffee and Danish sausages, too. Sure, you can dream of more, but show me an airport in Europe with something better! 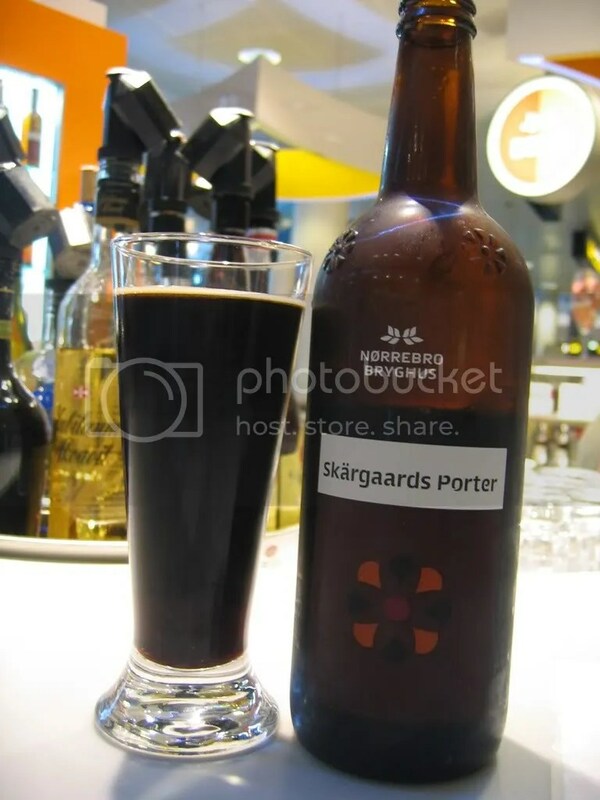 Ask for their Skärgaards Porter, brewed in cooperation with the Swedish Nyneshamn micro. Lovely. Sometimes you just need a bar with some choice when it comes to beers. Which is right by the entrance to the Metro station, Where the service is swift and speedy. 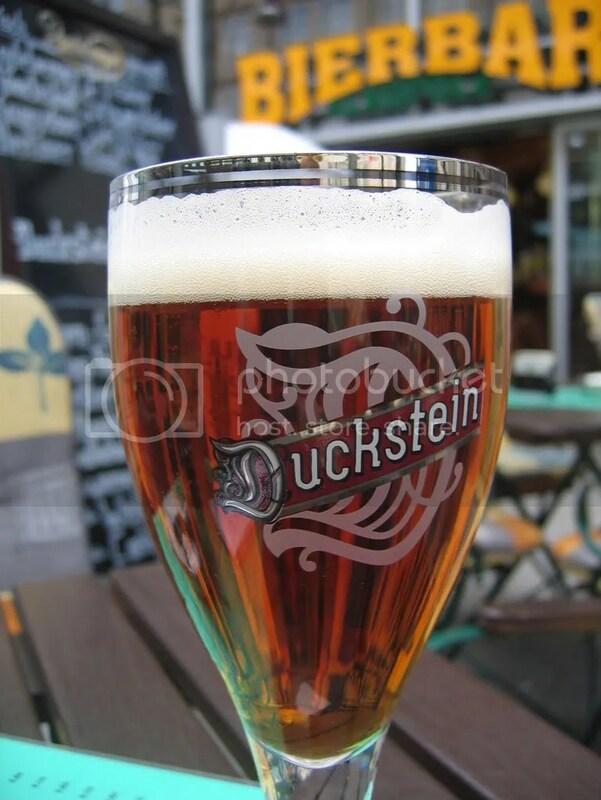 And where the Duckstein (sounds like a beer thought up by Carl Barks, doesn’t it?) is glittering in the glass like an amber jewel. 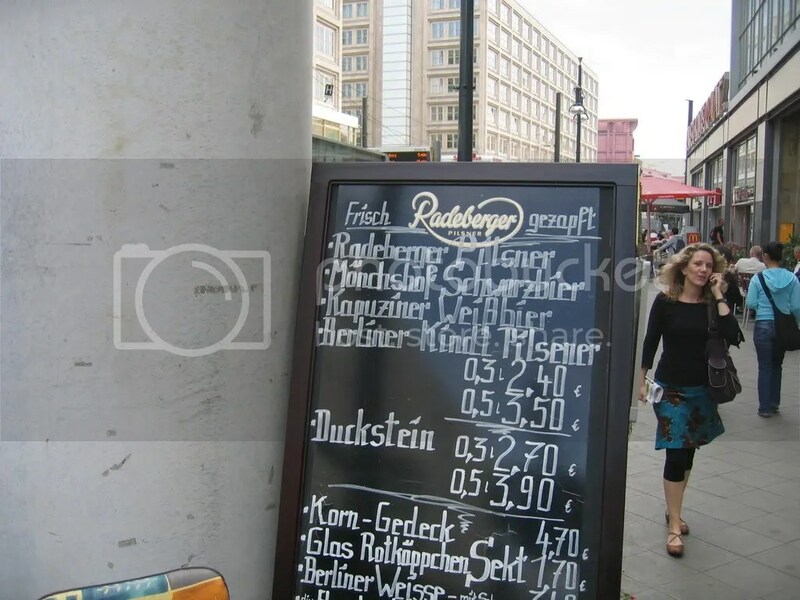 The Bierbar is on the ground floor of the Alexanderplatz station. It does not get more central than that. In the middle of Berlin, in the middle of Germany, in the middle of Europe. Five beers on tap, ten in bottles. A sausage menu if you need that. Every day is not for oak aged barely wines or stouts winning international awards. Sometimes you need to rest your feet, rehydrate and spend five minutes watching the world go by. That is why we need places like this. Then there are others both for long balmy nights and rainy winter afternoons. We need them all! 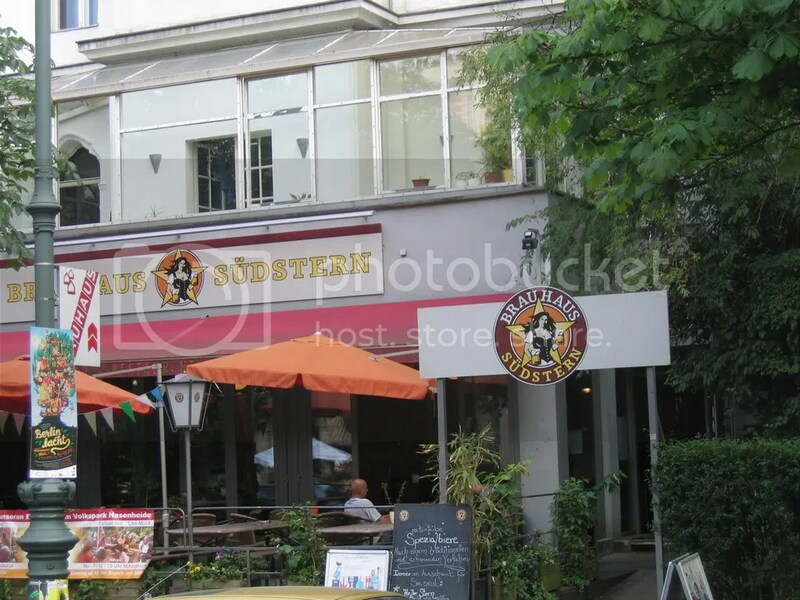 It is a warm afternoon, and I have a few hours before departing for the airport, and, thanks to Berlin’s excellent public transport system and the Good Beer Guide to Germany, I have found my way to the Südstern brewpub on the Southeastern side of town, only a few U-bahn stops from the centre. This is on the fringes of the old Bohemian quarter, with second hand record stores manned with Mohawks as well as little old ladies drinking their steins of Pilsener in the heat. After a few brief minutes of getting myself oriented, I arrive at the Südstern and is met by a lovely smell of malt drifting out from the open doors onto the terrace in front. 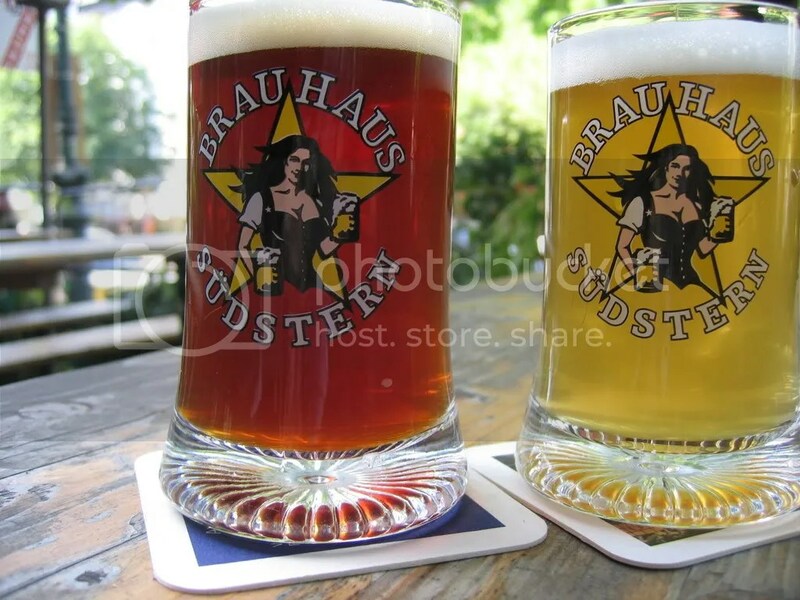 I find myself a table and soon have a glass of each of their regular beers, the Heller Stern and the Dunkler Stern. 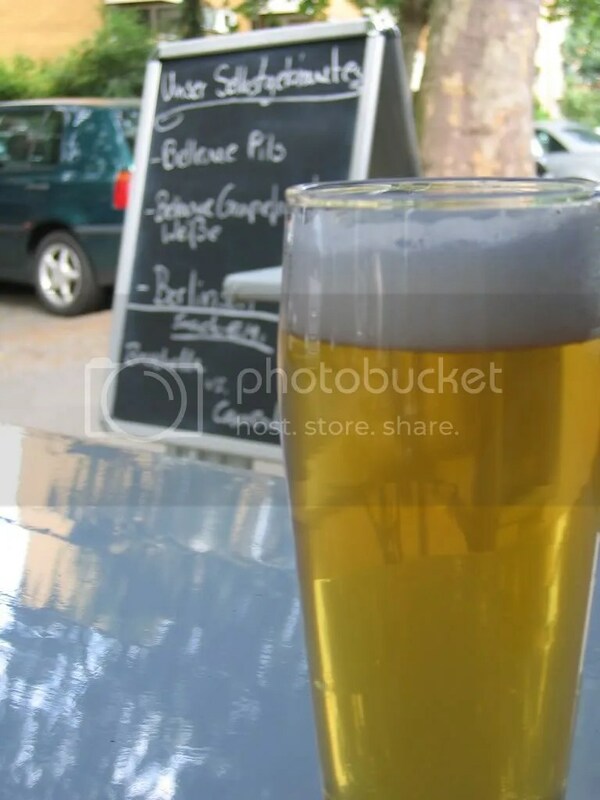 The Helles is a hoppy and aromatic variety of the style, with both rain and an orange-like fruitiness. Very decent. The Dunkel is a chewy and malty brew with lots of flavour. Quite sweet, but there is a nice bitterness that turns up in the long finish. A man walks over and enquires about my notebook, and I explain in my rusty German that I am a beer blogger. He is slightly more understanding than the ones I met at the Kneipe the other night, and tells me to ask if there is anything I need. He makes sure the service is very attentive for the rest of my stay. I feel a wish for a snack, and iI discover an Alsatian speciality I haven’t had since I was in Strasbourg circa 1988, Flammenkuche. I also ask for their EM-pils, especially brewed for the European Soccer championship. There is a lot of staff mingling around, and I am told they expect a full house for the game later that night. 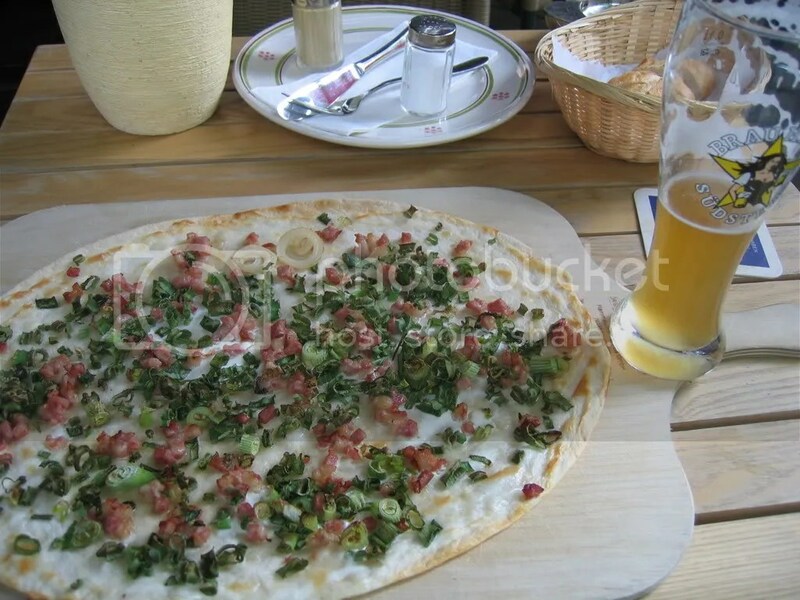 I don’t intend to stay, but the beer is lovely, and so is the Alsatian pie, a relative of the pizza, but without cheese, just some crisp bacon, spring onions and a little creme fraiche on top of a thin crispy crust. Another beery dish I’d forgotten about. I have a look around in the pleasant pub. There is a stage for live music (and, presumably, the soccer). There are outdoor tables in the back, too, opening on the park in case you want a more quiet outdoor experience. 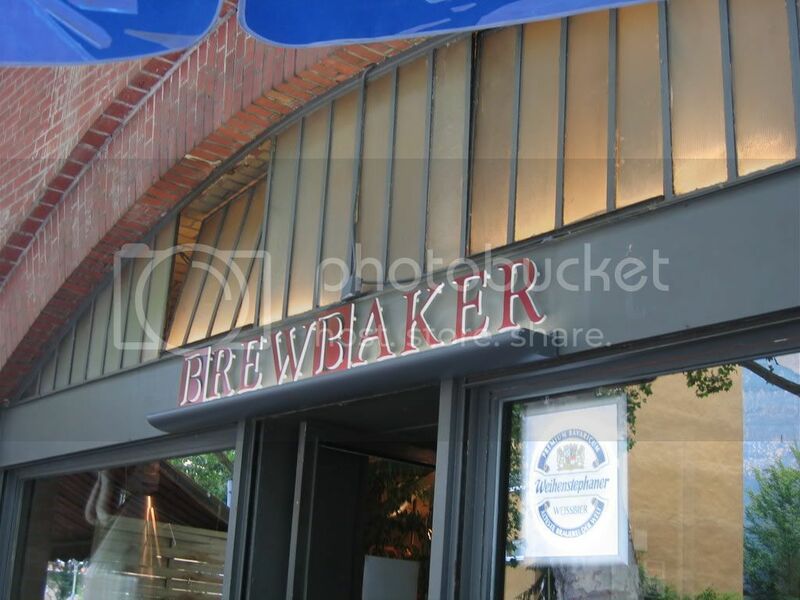 The brewing equipment is partly in the pub, partly visible through windows in the floor. To top up there is a fine menu, there are a few obscure bottled beers, focusing on organic beers. This is a gem well worth a detour if you have a few hours to spare in Berlin. But the lady in the logo was nowhere to be seen. Maybe she works the evening shift? I’m through with Pan-European travelling for the time being, and I have a number of ideas lined up. There are good news from Norway – three new beers from Inderøy Gårdsbryggeri released just now. They are selling out their beers faster than expected, and don’t need to work hard with the distribution with the batch sizes they have right now. I look forward to trying their new beers when I go north in a week or so. Smaa Vesen, a micro in the mountain area of Valdres, have had some problems starting up, with batches getting infected and so on. It seems they are on the right track now, they will even be supplying draft beer to one of the Bølgen & Moi restaurants here in Oslo. I wish them the best of luck. The brewer there is also a driving force behind the initiative of setting up an organisation of small scale alcohol producers in Norway. They had a meeting yesterday, I’ll report when I know more. A new Nøgne ø beer made for a local festival and with local distribution only will surely be sought after around the globe. There is interesting stuff coming up at Møllebyen in Moss and from Haandbryggeriet in Drammen also. On the international front, a spectre is haunting Europe. No, not really, but there is a Hefeweisse that I only came across last year and that I thought was fairly obscure that is popping up all over the place – the Bavarian Schöfferhofer. It is everywhere in Berlin, it is squeezing out other brands in Prague, it is acting like the Bombardier beer did in the Young’s pubs in London, elbowing their way to the front. It is not a bad beer per se, but, as usual with beer being launched on such a a large scale, you can be certain it is bland enough for most drinkers to swill it down. 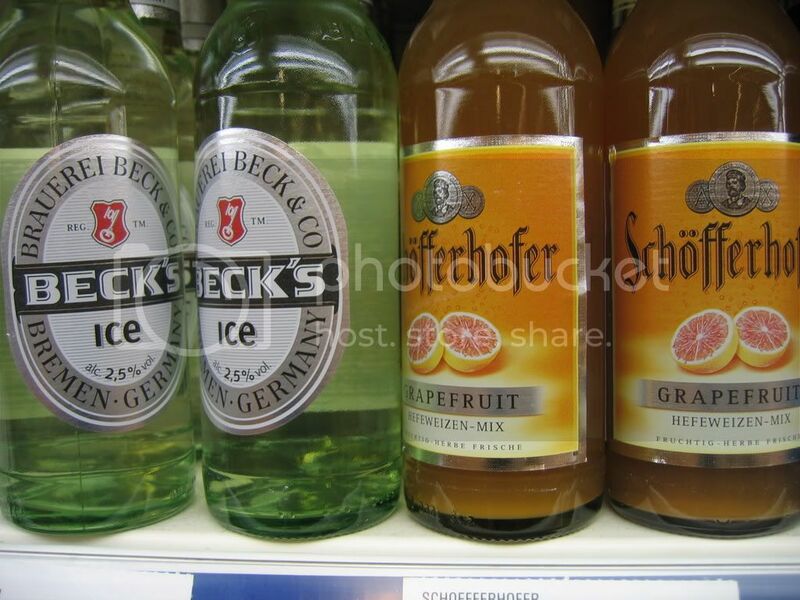 A more aquired taste, however, which I never thought they would be able to sell outside Germany, is the Schöfferhofer Grapefruit. I give my full support to Alan’s views on this weird drink.